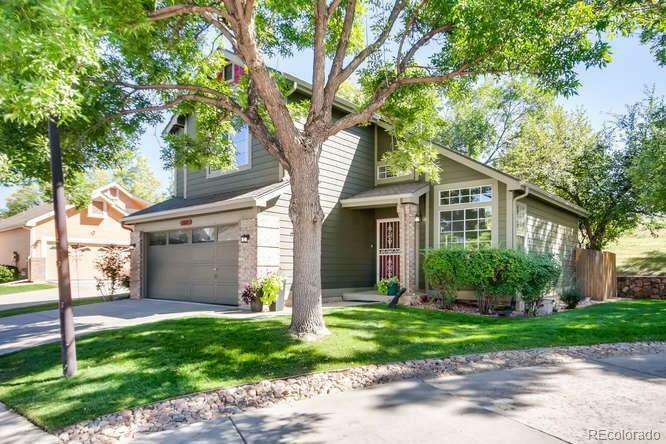 Come see this completely remodeled gem, in the very desirable Highlands Gardens neighborhood. Beautifully landscaped, this master planned community allows for a nearly maintenance free lifestyle. This Home is just a stones throw away from the entrance of the Highline Canal trail. You can Hike or bike to the many parks, shopping and dining that downtown Littleton has to offer. Some of the recent remodeled features include a brand new kitchen with all new cabinetry and hardware, Corian counter tops and recessed lighting. Exceptional quality is evident in the newly remodeled bathrooms and basement . Master bath has a heated floors that will keep your piggies warm. With energy efficiency the goal, a new climate controlled ceiling fan, Nest thermostat and a double pane energy efficient sliding back door were also added. And to keep the maintenance to a minimum, new gutters with leaf guards were added.